Anna Foot Doctors brought to you by the Internet Chamber of Commerce. Choose a company to see comprehensive business information. Dr. Raafae Hussain, our Anna based podiatrist is licensed by the Texas Podiatric Medical Board and Dept. of Licensing and Regulations to provide superior foot and ankle care as well as surgery for the foot, rearfoot, and ankle. Through his residency programs in Houston and New York, Dr. Hussain received excellent training with wound care, including treatment for diabetics with ulcers, sports medicine, and bony deformities. With this training, he is providing care for a full range of foot and ankle injuries and conditions; from ingrown toenails and plantar fasciitis to bunions, hammertoes and damaged tendons and ligaments, Dr. Hussain is prepared to alleviate your pain with the best modern podiatric skills. Though he grew up in the Poughkeepsie area of New York, Dr. Hussain is very excited to be residing in Texas near his friends and family in the Plano, Frisco, and Celina areas. He and his wife Ruba and their two young sons are excited to settle into the Anna area community and get to know the wonderful patients and neighbors here. 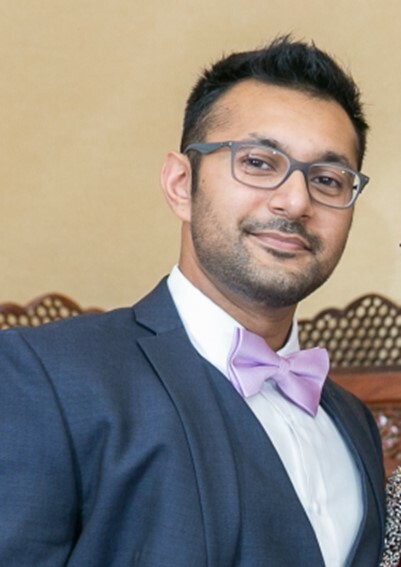 Dr. Hussain graduated with a Bachelor of Science from the University of Hartford in Connecticut and earned his Doctorate of Podiatric Medicine (DPM) from New York College of Podiatric Medicine. He completed three years of residency in a commercial hospital in Houston and a VA hospital in New York. He also completed a one year research fellowship in Pennsylvania. He loves reading medical journals and has written multiple papers and even worked on textbook material for incoming podiatrists. He looks forward to assisting you with the healing of your feet and ankles. 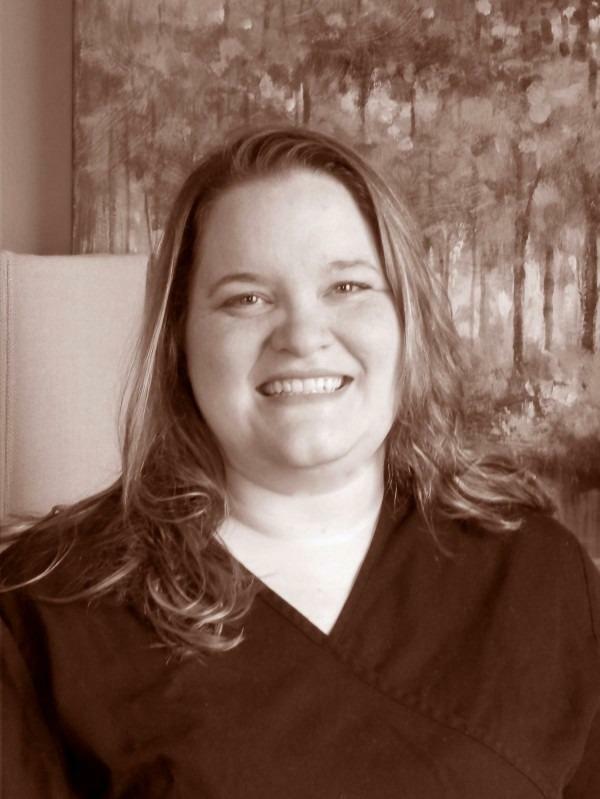 Kate joined the Texoma Foot & Ankle Specialists family in 2011 doing insurance verification and surgery scheduling before a quick transition to medical billing for the Denison location. In 2013, she became the billing and office manager for all of our office locations and spends her time working with various insurance companies to set up contracts for our doctors and ensure that claims are paid for our patients. Between phone calls and all of the paperwork that keeps the office running, she stays pretty busy! Kate is also married with three small children whose photos she loves to scrapbook. She also likes taking on new challenges including continued learning via online courses, reading, and fine-tuning her Donald Duck voice. Kate works part of the day in-office in Denison, primarily, and part of the day at home. She can be reached by choosing the billing option when contacting the main office line. Siobhan (pronounced SHUH-VONN) serves as Dr. Hussain's right hand staffer. She has been with Texoma Foot & Ankle Specialists since 2015 and opened our Anna office (Anna Foot & Ankle Specialists) in late April 2015. She operates the day to day business of the Anna office from answering phones, setting appointments, checking insurance benefits, greeting patients, and collecting payments to taking vitals and medical histories and assisting with surgical procedures in-office. When all of that is completed, she also scans documents into patient charts,compiles marketing reports, and even handles the medical billing for Dr. Hussain. Siobhan has a bachelors' degree in health information, and spends her time at home with her husband and two children. She is always on the go. We think Superwoman may be a term that applies! Sue Ellen has been a part-time medical assistant with Texoma Foot & Ankle Specialists for some time, but she began to work at Anna Foot & Ankle Specialists in 2015, shortly after the location opened. Sue Ellen assists Dr. Hussain in putting patients in the rooms, taking vital signs, taking the subjective patient history regarding how your pain began and previous treatments, and in performing numerous procedures. She makes the office flow smoothly and ensures that you feel all the compassionate care we can offer. Sue Ellen is married with 10 children and 2 grandchildren and has been a long-time member of the Grayson county community. She is truly enjoying getting to the Anna area community as well. To purchase custom orthotics, you will schedule an appointment with our podiatrist to have a plaster mold made of each of your feet. This mold is then sent to an orthotics manufacturer who uses the mold to build orthotics custom designed to accommodate your unique feet. The laboratory we have chosen to partner with makes a higher quality product than many locations. Due to this superiority in supplies and manufacturing, however, custom orthotics can only be billed to Soonercare insurance for minors or paid out of pocket. These high quality orthotics are designed to fit into your existing shoes and are built to last for many years. 15 ml bottle of medical strength antifungal solution to treat toenail fungus. Clarus brushes on like clear polish and can only be purchased as an over-the-counter item.